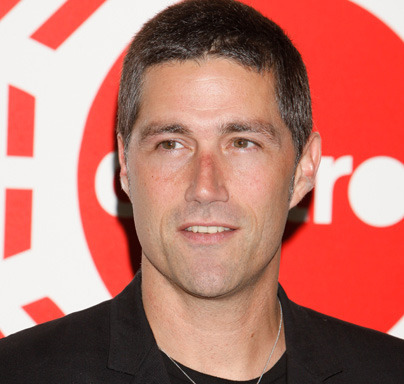 (CBS/AP) - Former "Lost" star Matthew Fox was detained in Cleveland, Ohio on Saturday night after he allegedly punched a female bus driver who wouldn't let him hitch a ride on a private party bus, according to TMZ. The entertainment site says the 29-year-old driver blocked the entrance of the vehicle and informed Fox that he could not board because the bus had been rented out, according to a police report. Fox had reportedly been trying to take the private bus back to his hotel. After being refused entry, Fox allegedly punched the driver in the chest and stomach and the woman hit back striking the actor in the mouth, reports TMZ. Fox's accuser, Heather Bormann, claimed in an interview with TMZ that Fox was drunk and said she hit back because, "This was the only was I could protect myself...from a man beating up on a woman." The woman reportedly told police she might have broken her hand in the altercation and would be seeking medical attention if needed. TMZ reports that the "Lost" actor was detained by police but not formally arrested. An assault report was taken and the matter is reportedly still under investigation. Fox, who is currently shooting "World War Z" with Brad Pitt, was released to a friend who took the actor back to his hotel, according to TMZ. Bormann is reportedly meeting with prosecutors on Monday and may press charges.